It's finally here! Our FIRST international guided tour with a difference during the Easter holidays! Istanbul - a city across 2 continents featuring a rich Islamic heritage retold to you. From the time of the conquest of 1453 to various events some proving a lasting legacy and others being a time of reflection. The guided tour during the tulip season will include a special part taking in the discoveries of the Ottomans influences and connections to Britain. Group Transfer to hotel, free time to refresh etc. 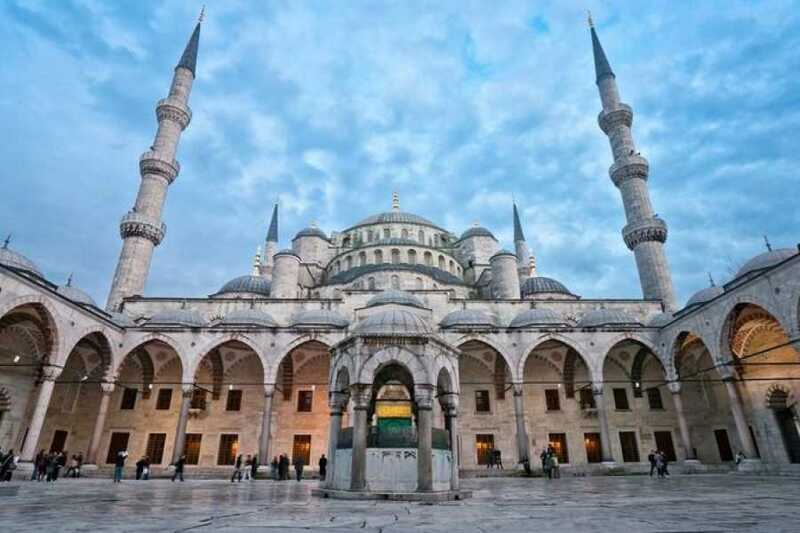 Your journey will start with a night sightseeing bus tour covering both the Asian and European side of Istanbul. Your arrival day will be welcomed at the Hidiv Kasri Palace, the former residence of the viceroy of Egypt and Sudan. An attractive building on the Asia side with beautiful views awaits! After breakfast, we travel to the location of the Sahabah Abu Ayub al-Ansari grave and mosque. Abu Ayub died in the year 674 during the first siege of Constantinople. From here we will take a ride on a cable car seeing beautiful views of the Golden Horn. Following this, we head to the city walls which were built by Constantine the Great to protect the city from land and sea attack. How did the Muslims face these walls whilst trying to conquer the city in 1453? We will discover this and also visit the Panoramic 1453 museum to relive that time with Ottoman canons. The day will be completed by sailing to Maiden’s Tower. After breakfast, we travel to Topkapi Palace, built by Sultan Mehmet II in 1478 and was the residences of the Ottoman Sultans for approximately 400 years. Here are the Islamic sacred relics some which were secured in the last days of Ottoman rule in modern Saudi. Among the objects are the hair strain of Prophet Muhammad (pbuh), his seal and his letter of Prophet Muhammad, the swords of Khalid bin Waleed and items belonging to different Prophets. 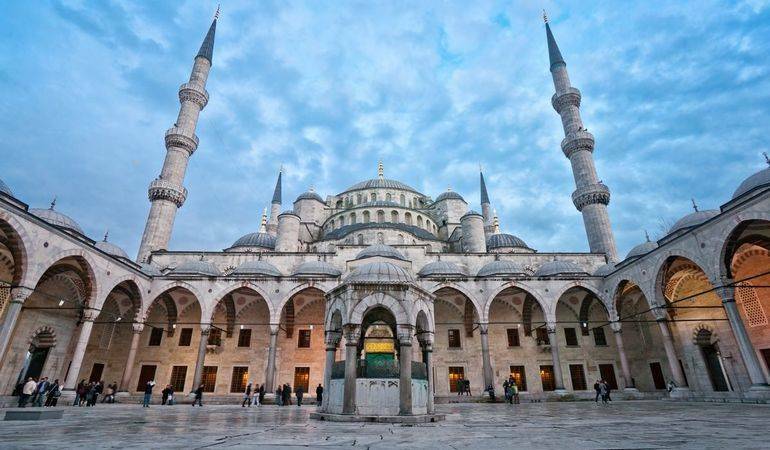 Following this we explore the UNESCO world heritage site Aya Sophia, built as a cathedral 537 and was considered to be the largest building of its time, converting to a Mosque in 1453 and adding 4 minarets and then to a museum in 1935. There may be an opportunity to see the Viking writing too! The day will be finished off with discovering the last Ottoman museum to be established, one of Istanbul’s best kept secret housed in the former palace of Ibrahim Pasha, the Islamic Arts Museum. Beautifully laid out, fascinating exhibits including collections of ancient Quran, Islamic art, tiles and carpets, stone works from Seljuk times. Be mesmerised! After breakfast, it’s time to discover the grand Dolmabahce Palace, the largest palace in Turkey, built by the shores of Bosphorus River see the beauty of the grounds and the building itself. Built in the mid 1800s on the order of Sultan AbdulMajid I in European décor at an estimated cost of $1.5 billion in today’s value. See the Harem and discover the etiquettes used at the time. The chandeliers, to the Crystals Staircase. A palace that’s almost set in time! See panoramic views of Istanbul and Bosphorus from the stone Galata Tower built in 1348, used as an observation tower for spotting fires during the Ottoman times. A departure point for some early flyers from 1600s. Following this, we will visit the Military Museum displaying a 1000 years of Ottoman/ Turkish military history. From the Byzantium chain closing the Golden Horn, a Military first in the world, Sultan’s boats, interactive display on the Seljuk Empire, Ottoman’s and WW1 and much more! Finish the day with a luxury Hamam that could be seen as a dreamlike experience! Get refreshed and let the journey in Istanbul remain with you! Following breakfast, its time to for a cruise on the Bosphorus with lunch. What better way to complete the tour, from the peaks of Sultan Ahmed’s tourist sites to the famous Ottoman waterfront palaces. Led by AbdulMaalik Tailor, who was Britain's first professionally qualified Muslim tour guide and who established an Ottomans in Britain tour that has led to excellent reviews and attendees themselves found it better than tour guides in Turkey as the Ottomans in Britain Tour contextualises it. From the feedback and having travelled to different parts of Turkey he realised the limitations of the Turkish guides among others who were from Britain and decided to create a guided tour that would provide value to one's experience. Early Bird Price £499 Per person based on 2 people sharing a room. Price goes up after 13th Jan 2019.